The Government has presided over real terms cuts to school and college budgets and it is not an over-statement to say that education is now in crisis. Colleges like Leyton Sixth Form College in my constituency, where 2300 young people study, have seen no actual terms increase in their per-student funding since 2013. At the same time, running costs have soared, leaving colleges running out of money and having to consider dropping subjects and extra-curricular activities and even cutting vital pastoral support. Research from London Economics has shown that the rate needs to increase by at least 760 pounds per student, per year to ensure that schools and colleges can continue to deliver a high quality education. The #Raisetherate campaign is calling on the government to meet this demand for funding this year, and then increase the rate in line with inflation each year after. I hope the Government will listen to the hard-working educationalists calling for this, many of whom have contacted me with their concerns. Regrettably, from ages four to twenty-one it seems to me that the Government is still in denial about the impact that real terms cuts have on standards in education. Just before to the 2017 General Election, I contacted the Department for Education about the impact on local schools and the Minister responding asked me to pass on advice to schools to make savings on photocopying and electricity. I sincerely hope that they will look at the impact that their cuts have had and agree to #Raisetherate. Whipps Cross Hospital has asked John Cryer MP to help recruit members to a new group to find out what residents want from a redeveloped site. Applications are now open for a small number of local people to join the Community Engagement Action Group, which intends to make sure the public can shape the future of the ageing hospital and its surrounding land. Barts Health NHS Trust and its partners published initial plans for the future of the 100-year old site last year and are now embarking on drawing up more detailed plans. The Trust says it plans to secure "a multi-million pound redevelopment that would make Whipps Cross a flagship campus offering the best care for generations to come. "Preliminary assessments suggest a brand new state-of-the-art hospital - complete with an A&E and maternity department and co-located with other health and care facilities - could be built on a fraction of the existing estate. This would release land for other uses, potentially including new homes for the community and staff," a Trust statement said. Now the Trust wants to recruit "a panel of residents who have good links with their communities and are passionate about securing a bright future for the hospital" to contribute to the planning process. Whipps Cross Redevelopment Director Alastair Finney said: "We'll be doing lots over the coming months to get people's views through regular dialogue, meetings, surveys, social media and more, but I want us to go further than that. That's why we're asking for a small number of passionate people to help us get the views not just of those who use Whipps Cross Hospital at the moment, but of those who know they will need to use the Hospital in the future. We are genuinely committed to local people working with us to influence the future of Whipps Cross. This is a once-in-a-generation opportunity, so help us get it right!" The group will help the Trust to gather the views of the community and ensure they're a key part of the plans as they develop. If this group isn't for you, but you'd still like to be involved, don't miss out on the host of other opportunities coming your way by signing up to the Trust's dedicated mailing list, also available on the website. John Cryer MP said: "Whipps Cross is an old hospital, which frankly is not well set up for the requirements of modern medicine and the growing number of patients coming through its doors each day. I welcome the redevelopment in principle but it is important that the plan that is settled on meets the needs of a growing and ageing local population, maintaining capacity at the very least. "Hopefully, recruiting local people to scrutinise the plans will ensure that the Trust remains sensitive to the needs of the local population as it takes decisions of huge and enduring significance for the future of healthcare provision in East London." John Cryer, MP for Leyton and Wanstead, has reacted to the tragic death of a fourteen year-old boy in Leyton. Reports that a young man was run over on his moped, then fatally stabbed, were met with shock and outrage in the local community. John Said: "I was shocked and saddened to hear about the death of a fourteen year-old boy in Leyton on Monday. I cannot begin to imagine what his loved ones are going through at the moment. "Youth violence is at epidemic level and we simply cannot carry on like this. The police urgently need more resources to get to grips with the immediate problem. I am calling on the Government to address this urgently. "Prevention is better than the cure, and Local Authorities need to be given the funding to sustain long term schemes to keep young people away from violence." John Cryer MP today called for TfL to compensate commuters on the Barking-Gospel Oak Line in the wake of news that the introduction of electric trains has been delayed yet again. The line serves Leyton Midland Road and Leytonstone High Road Overground Stations. TfL have announced that trains will not be introduced in December as expected, raising the spectre of rail replacement bus services for long-suffering passengers during January. Long-leased diesel trains currently providing the service are due back in Birmingham in the new year, leaving the line without trains if the new electric stock is not promptly brought into service. John said: "users of the line - many of them my constituents - have had to put up a lot since the electrification works started a couple of years ago. They have faced two long-term line closures, frequent weekend closures and increasing unreliability. The line is badly overcrowded at peak times. "Now the new electric trains have been delayed by 'software problems' and I have been given no indication of when this issue will be resolved. My constituents are already worrying about getting to work in the new year. "Passengers travelling with rail franchises who bungled the introduction of new timetables in the summer have been compensated for the great inconvenience that they suffered. I think it is not unreasonable for TfL to consider compensating commuters on this line, who have had to put up with disruption for more than two years." John Cryer has tabled a Parliamentary Early Day Motion (1768) in support of local Leyton resident Ms Delsie Gayle. "I was appalled to learn of the vile abuse my constituent Delsie endured on a Ryanair flight back from Barcelona. The verbal abuse was graphic and completely unacceptable. Ryanair management are accountable and urgent action need to be taken - starting with an unreserved apology to my constituent." That this House notes the entirely unprovoked and racist verbal attack on Ms Delsie Gayle onboard a Ryanair flight from Barcelona to London; further notes that Ryanair failed to move the perpetrator but instead moved Ms Gayle to another seat; points out that Ryanair have still not contacted Ms Gayle or any member of her family; condemns Ryanair's tolerance of a clear case of racism; and calls on the airline to conduct an immediate inquiry and to offer an unreserved apology to Ms Gayle. I am contacting you because you supported my petition against flight path changes made by London City Airport, which has concentrated flights over a narrow corridor over our area, or expressed an interest in the issue of aircraft noise. I am sorry to say that the CAA has not recommended any significant change to the flight paths. Naturally I am hugely disappointed. Following this news I intend to immediately speak to campaigners to establish what more can be done to oppose excessive aircraft noise locally. I will be sure to keep residents abreast of developments and let you know if there is any way that you can continue to support the campaign for fairer flight paths. The murder of Jamal Khashoggi- which the Saudi government now admits did take place - bears a striking resemblance to another extra-judicial murder you might recall that took place somewhat closer to home. The attempted murder of Sergei Skripal, which resulted in the death of Dawn Strugess, was as brazen example of a government meting out revenge on foreign soil as we are ever likely to see. The Government was rightly swift in its condemnation of the attack. Its response to this most recent example of state-sponsored murder has been noticeably more equivocal, however. Despite the use of amputation as a punishment, exclusion of women from most areas of public life and execution by stoning, which if anything puts Putin's authoritarian Russia in the shade in the international demagoguery league, Saudi Arabia is our geopolitical ally and economic partner. With this latest act and the on-going savagery of their involvement in Yemen, we must now be entitled to ask: what happened to ethical foreign policy? A great many constituents have written to me out of concern that it is British-made bombs are falling indiscriminately in Yemen, hitting not just military targets but school buses, weddings and food markets too. It is a war being fought not for a lasting peace in Yemen but for the furtherance of their own regional power and influence vis a vis their great rival, Iran. With this latest act of contempt for international law, is it not time for governments including our own to distance themselves from this anachronistic theocracy? Six million fund open for bids today for boroughs to target worst pollution areas. Part of the Mayor's twenty million Air quality fund that has already supported projects across 29 boroughs. John Cryer welcomed the Mayor of London, Sadiq Khan (27 September) call for boroughs to bid for a share of six million funding to help target local pollution hot spots and drastically improve air quality. The funding is part of the twenty million Mayor's Air Quality Fund that has already delivered hard-hitting measures across 29 boroughs including electrifying Hackney Council's vehicle fleet, fitting low-cost electric charging points onto lampposts across Hounslow, and establishing a green courier service in Waltham Forest. John joined Mayor Sadiq and leader of the Council, Clare Coghill to meet local businesses on Francis Road in Leyton who have helped reduce traffic pollution by using a cargo bike and electric vehicle delivery service, supported by a four hundred thousand pounds City Hall Air Quality Fund grant. Over the last year the project's 12 part-time riders have cycled 7,743 km and delivered more than 8,000 packages. Around 25 local businesses use the delivery service every month, alongside The Waltham Forest Library Service which uses the cargo bikes to deliver books to housebound residents across the borough. "I am pleased the direct actions is being taken to improve air quality in our area. Sadly I am aware that local residents die from illness related to air pollution every year. I hope this funding will help boroughs to deliver targeted action for the benefit of all Londoners. I do also agree with Sadiq that despite that all he and Waltham Forest Council are doing we can't win this battle until the government provides extra resources and delivers a new Clean Air Act fit for the 21st century." The Mayor of London, Sadiq Khan said: "Our filthy toxic air is a national health crisis, contributing to tens of thousands of premature deaths in the UK every year. The bold action we've already delivered such as establishing Low Emission Bus Zones, cleaning up the bus and taxi fleets and delivering the T-Charge in central London, are starting to have a positive impact. Clare Coghill, Leader of Waltham Forest Council said: "We know that air quality is a huge concern for our residents and sadly around 270 people in the borough die from illnesses related to air pollution every year. Therefore, we've made tackling this issue as a priority through the Enjoy Waltham Forest programme and our work with the Mayor's Air Quality Fund. "Our Mini-Holland scheme has delivered 22km of segregated cycle lanes, 660 new trees, 37 roads closed to through traffic and 15 new pocket parks since 2015. Meanwhile, innovative schemes like replacing delivery vans with cargo bikes have helped local businesses to make a tangible difference. "Thanks to our actions the life expectancy of Waltham Forest's young people has significantly improved and we've cut the number of households in the borough facing dangerously high levels of air pollution by 90%. Tiff Howick co-founder of Venner Store, a gift and homeware store in Francis Road, Leyton, said: "We specifically chose to open our store in Francis Road because we liked the idea of the road being pedestrianised. There have been lots of new businesses opening up in recent months and there is a great community atmosphere among us and our customers. "ZED, the zero emissions delivery service, provide us with a great service bring our stock from our local suppliers across Waltham Forest. They are a great friendly local team, who really care about their customers and the environment." I have received the below message from UK Visas and Immigration. I would encourage all residents, especially those affected by the issues exposed in the Windrush Scandal earlier this year, to provide feedback to this consultation. There are less than two weeks remaining for you to share your views on the design of the Windrush compensation scheme. The Home Secretary is committed to do right by those who have made an invaluable contribution to this country. The Windrush Taskforce was formed in April this year and seeks to support those affected, ensuring they are in receipt of the correct documentation that will prove their status in the UK and any entitlement to associated services. Alongside this we are putting in place a compensation scheme and we are keen to hear your thoughts on what it should cover, to help us shape the scheme. The 12-week consultation will close on 11 October. It covers three core elements: who should be eligible for compensation; what losses should be compensated for; and how the process should work. It is open to those who have suffered loss or difficulty as a result of not being able to prove their status in the UK as well as friends, family and representatives of those affected. The final scheme and how to apply will be announced as soon as possible after the consultation ends. The process is being overseen by Martin Forde QC who is acting as an independent advisor on the shaping of the scheme. Request a paper or email copy to be sent by completing the form here. For enquiries or to complete the document over the phone, call Freephone 0800 678 1925.The lines are open Monday to Friday 9am to 5pm, 10am to 3pm Saturday and Sunday. We hope you take the opportunity to share your views, you input will be highly valued. John Cryer, has criticised the nationwide shortage of midwives but particularly in the London area, and has raised the possibility of Parliament debating the issue after recess ends. 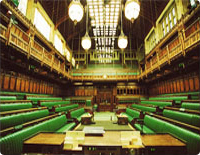 On 13 September, John Cryer MP raised his concerns in Parliament "this crisis is a national issue, but north-east London has a rapidly rising birth rate, so may we have a debate, or at least a statement when we return, on the national shortage of midwives, but with a particular focus on London?" The Leader of the House, Andrea Leadsom, agreed that "the availability of midwives and maternity units is absolutely key" and that 'there is a lot more to be done' on the issue. Jon Skewes, Director for External Relations at the Royal College of Midwives, said: "Nationally, the NHS is short of 3,500 midwives, and some of the biggest pressures on the system are in areas like London," and that "the workforce is at a virtual standstill. Despite over 2,000 new midwives being trained last year, the number of NHS midwives rose by just 67 over. More action is needed."